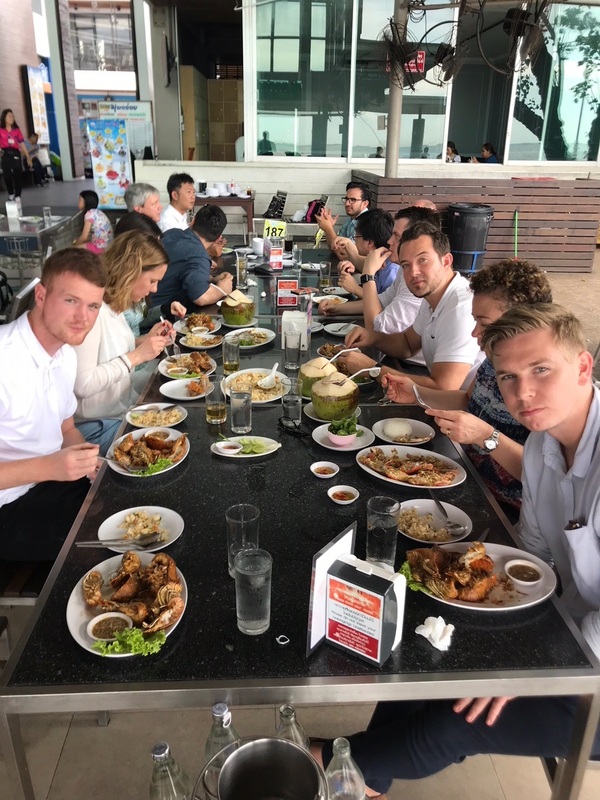 What a day – the 4th day of our study tour in Bangkok was dedicated to two logistics companies coupled with delicious food. As every morning, we started the day with an amazing breakfast in the hotel. 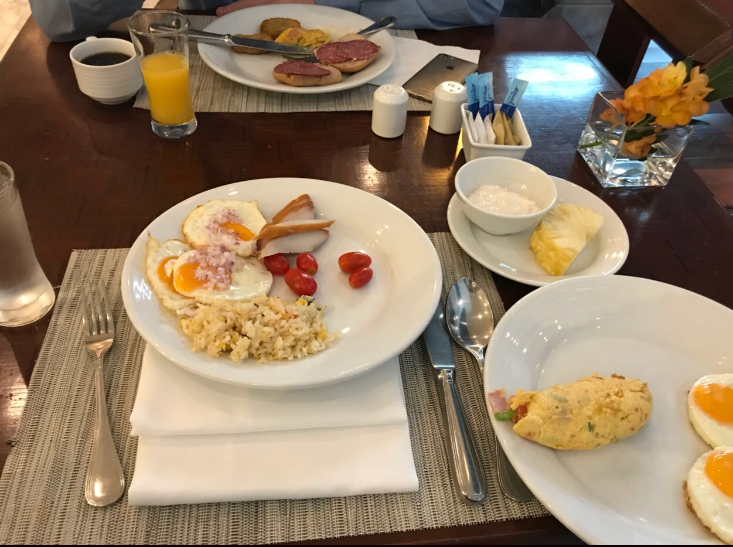 Even though literally everything was tasteful, predominantly western food, after some days a morning routine took place and the proportion of eggs increased constantly. Our private luxury bus drove us as safe and fast as usual to our first destination Wallenius Wilhelmsen Logistics (WWL) which is a world class company specialized in ocean RoRo (Roll-on Roll-off) logistics. Surprisingly, WWL is not only leading the B2B but also offers B2C services enabled by an AI robot answering request for quotes. Afterwards, not more than 10min away we arrived in the port at the Namyong Terminal (Terminal 5). If you thought you have seen a lot of cars standing row in row, you haven’t been here. Thousands of cars were waiting to be loaded into the ships to be distributed across the globe. After those impressive logistics operations we had lunch at a Thai restaurant resulting in everyone having local food, shells, lobsters or chicken wings, there was no wish which couldn’t be satisfied. Arrived back in the hotel and rested for a couple of hours, we prepared ourselves to a further trip to the city of Bangkok. What can I say, somehow we found ourselves again in an incredible delicious night market place to finish the day appropriately. 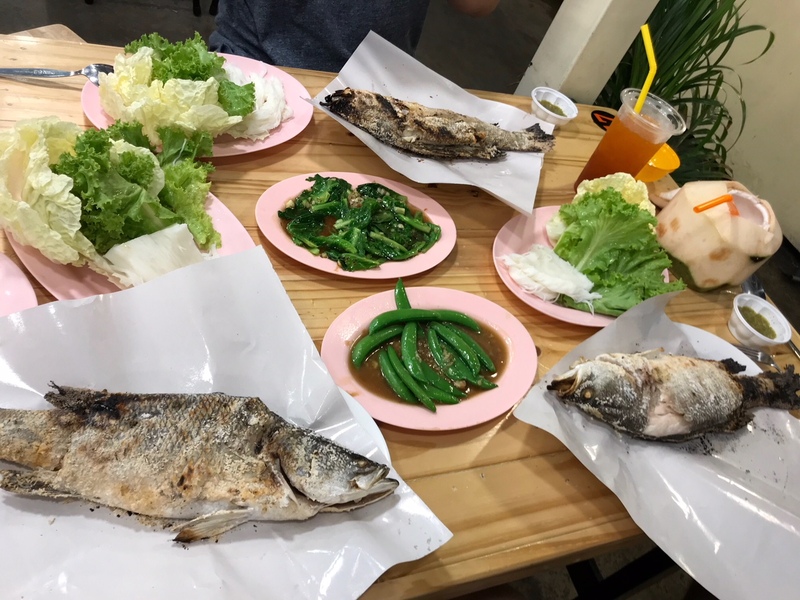 A day out of the books for a Suppy Chain Manager, we gained insights into leading logistics companies in Bangkok accompanied by incredible delicious local food.